PHOENIX, AZ.- The Heard Museum, located in Phoenix, Ariz., announced the opening of Yua: Henri Matisse and the Inner Arctic Spirit, on Oct. 29, 2018. This will be the public’s first and only opportunity to see this groundbreaking exhibition exploring the surprising artistic and spiritual connection between the great 20th century French modern master, Henri Matisse, and the Indigenous people of the Arctic. Matisse is celebrated for his sensuous approach to color and composition. Largely unknown to the general public, however, are his striking black-and-white portraits of Inuit people that were inspired, in part, by a group of Yup’ik (Native Alaskan) masks collected by his son-in-law Georges Duthuit. 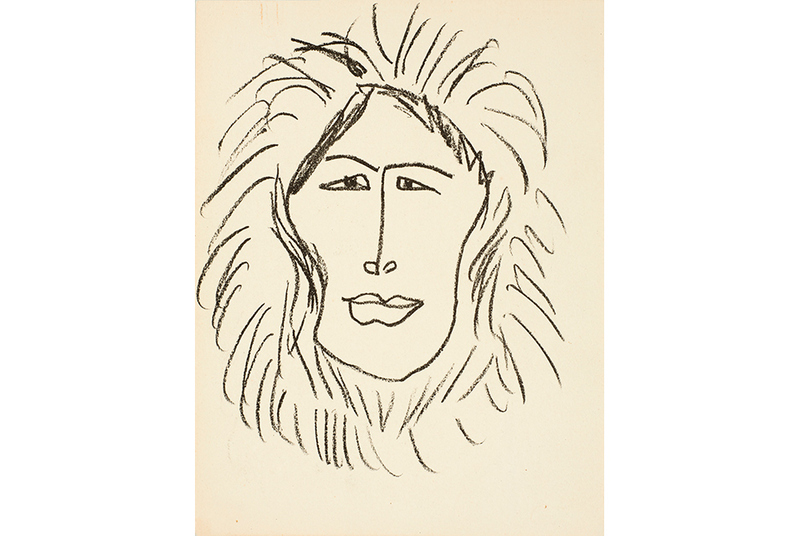 In the last decade of his life, while working on his masterpiece La Chapelle de Vence, Matisse became interested in both the physical forms and spiritual concerns of the Inuit which later inspired this series of 39 individual portraits depicting the faces of Inuit men and women. In addition to original works by Matisse, the exhibition will also feature Yup’ik masks, cultural objects, archival photographs, film and ephemera totaling more than 150 pieces. Yua: Henri Matisse and the Inner Arctic Spirit is co-curated by Sean Mooney, curator of the Rock Foundation and Chuna McIntyre, a Yup’ik artist and elder, and is the first ever exhibition to restore the original cultural practice of mated pairs of Yup’ik masks. Yua is a Yup’ik word that represents the spiritual interconnectedness of all living things and is essential to maintaining balance and order in the Arctic way of life. The Yup’ik are Native Alaskans and their name translates to “the Real People.” A critical objective of the exhibit is to underscore the important contributions of Native Alaskans to an expanding concept of American art, as well as its intersection with broader artistic movements. National and International exhibition collaborators include the Matisse Museum (Le Cateau) in France, the Menil Collection in Houston, Texas, The Metropolitan Museum of Art in New York, Fowler Museum of Cultural History at UCLA, Phoebe A. Hearst Museum of Anthropology at UC-Berkeley and the National Museum of the American Indian, Smithsonian Institution in Washington, DC. Major funding for the exhibit has been provided by the Terra Foundation for American Art. Educational programs are being designed to ensure many points of entry for families, educators and youth and includes the unveiling of the exhibition mascot, Henri the Husky. Animals play an important role in Arctic cultures and Henri the Husky will be the accessible “face” to help families, youth and students engage and learn about the art and themes in the exhibition. Henri will be incorporated into all collateral materials including a Matisse Family Guide as well as the companion family exhibition It’s Your Turn: Matisse in the Sandra Day O’Connor Gallery and public events including First Fridays and Holidays at the Heard. An original ink drawing by Matisse depicting his beloved dog Raudi will be shown in It’s Your Turn: Matisse and hung at eye-level for kids to enjoy.